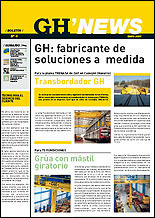 GH´NEWS | GH crane and hoist manufacturer. Win-win top customers program & regional seminar in Bangkok. 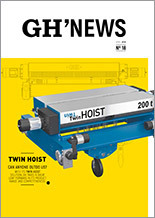 TWIN HOIST Can anyone outdo us? 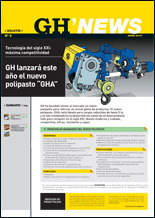 GH adds regenerative inverter on its standard equipment. Our strong point is our ability to personally adapt to the needs of our customers around the world. Rather than equipment, we sell solutions. 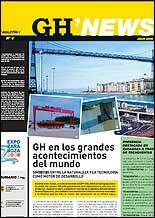 GH introduces its innovations at CeMAT. 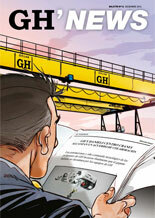 GH as a concept of VALUE: Seven keys for the crane manufacturer of the 21st century. 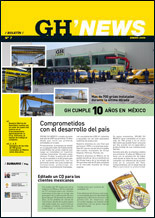 GH and VIROEX finalize the installation of a casting crane of 140/40/10 TM. 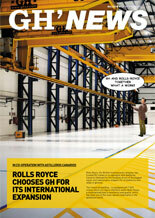 Rolls Royce chooses GH for its international expansion. GH is all business in the steel industry. 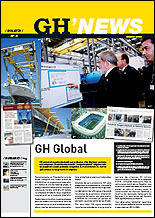 GH gets its biggest ever order in the external market. Important order in Saudi Arabia. GHD13 "Closing the innovation circle". 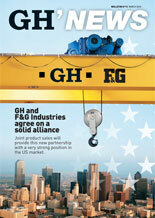 GH and F&G Projects in the USA. 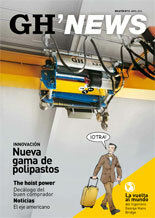 New investment in Chicago to reinforce our presence in the american market. 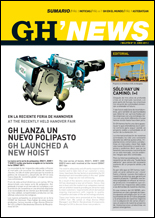 Danieli Centro Cranes chooses a GH. Seminar for engineering and construction companies. 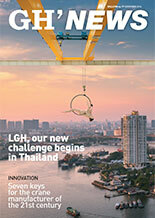 Important presence of GH in Southeast Asia and the Middle East. 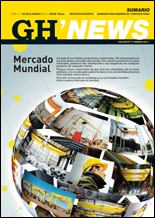 Significant projects in Eastern Europe, America and China. 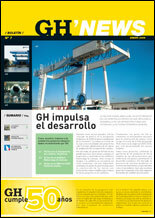 GH consolidates its position in France. 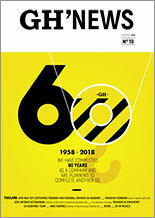 CD standards and safety on cranes. The transformation of GH in Poland and the opening to the east. Russia as a potential market. Six reasons why your choice to opt in GH. 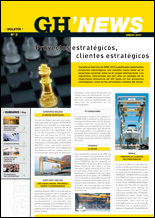 Special cranes for strategic sectors. 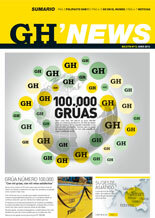 GH acquires 100% of Intertech. Maintenance on cranes and logistics.